"World Film Locations: London" is an exciting visually focused tour of a diverse range of films shot on location in London. 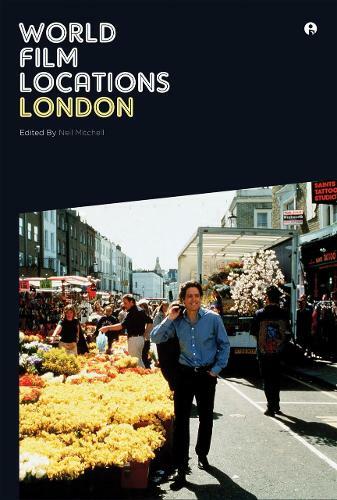 This volume will contain concise but knowledgeable reviews of carefully chosen film scenes and evocative essays about key directors, themes, ideas and historical periods that explore London's relationship to cinema. This book will be illustrated throughout with scene-specific screengrabs, stills of filming locations as they appear now and city maps that include location information for those keen to investigate the cinematic landmarks of London. The individual scene reviews, theme specific essays and illustrations will collectively offer up their own wider questions relating to London itself and how cinema shapes our view of the city. Covering the periods of the Victorian era via the swinging 60s through to the post 7/7 atmosphere of modern day London and seen through the eyes of the full range of communities that have been portrayed onscreen "World Film Locations: London" will illuminate all corners of this richly diverse and cinematically fertile city. ''''Handsome and intriguing, like an elegant ghost hunter''s companion to a world that is--and isn''t--there." --Francine Stock, " BBC"